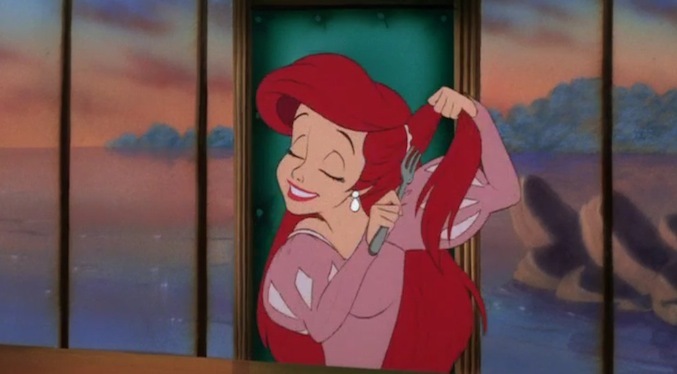 This morning I found myself totally relating to Ariel from the Disney Movie Little Mermaid. If you’re familiar with the movie you’ll know that as a mermaid she had an obsession with the world above, or the people who lived on land. She collected all the things that she could find from that world, and she had quite a lot. But, she didn’t always know what they were for or how to use them. She would do her best find purposes that would work, but weren’t really their intended purposes. I can relate to that. We lived in heaven before we came to this earth, and we will return when we die, but while we are here on Earth we don’t remember what it is like. We collect these little bits of knowledge, but we don’t always know how to use them in the best ways. We have prophets and scriptures to guide and direct, but we still are collecting little pieces of wisdom and knowledge whose purpose we may not discover until we need it in the next life. It sometimes feels like we’re sitting in this cavern filled with our collection despite the amount we have we still desire more, partly because we don’t understand what we truly have and how to use it. A girl who knows everything? How many wonders can my scriptures hold? I’ve got knowledge and wisdom aplenty. I can liken it to anything. You want agency? I’ve got plenty! It’s a lot, that I’ve got. Flappin’ your mouth you don’t get to far. Action’s required for learning, growing. Diligently. I strive to be, a chosen one. And ready to know what my Savior knows. Wouldn’t I love, to hug my Father in Heaven above? I don’t know the reason behind every piece of knowledge in my “collection” yet or how to use it, but I do know that nothing I add to my collection of spiritual knowledge will be wasted in eternity. Every time I discover a piece, or discover how to use a piece gets me closer to my Savior. I am so excited to become more like him every day. How many steps do you take? Cute! I feel a Young Women In Excellence program coming on! This. Is. AMAZING. So creative!